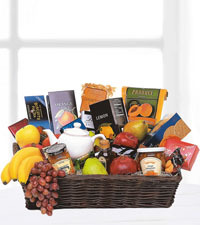 Thanksgiving is a holiday of giving in Canada. 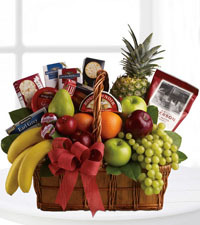 It was created to celebrate a unity between two feuding sides, and has been continued as a traditionally family holiday in which thanks are given for what they have and a great feast is shared amongst the entire family. 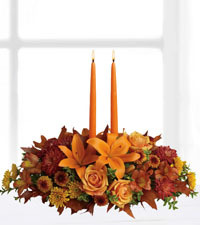 It is a time to give and to watch people enjoy, it is a time to reflect and give thanks for what is yours, and it is a time to share with family and enjoy their company. 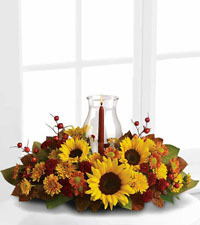 There are many great ideas for Thanksgiving gifts to have delivered in Canada, from flowers to centerpieces to gift baskets, you will find a lot of great options. 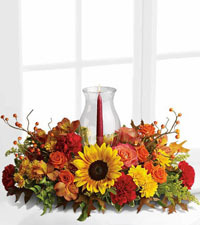 Thanksgiving is deep in fall where the weather is getting cold and the leaves have turned, it is a beautiful time of year. 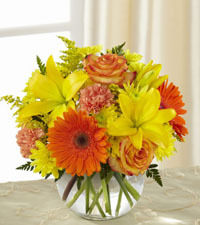 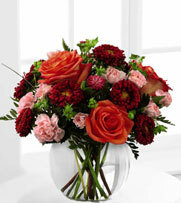 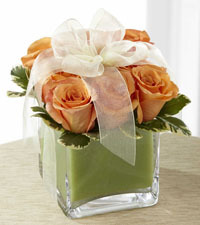 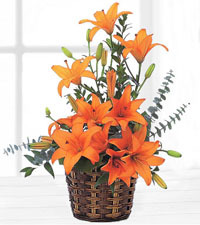 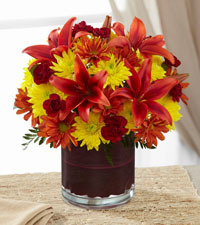 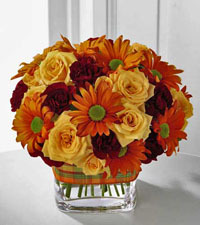 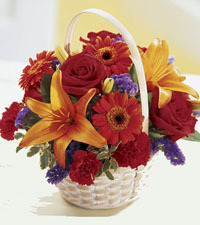 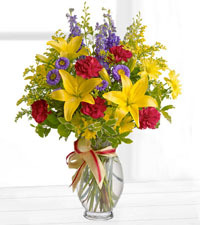 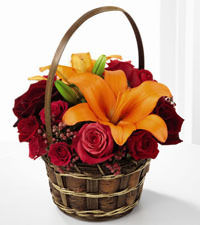 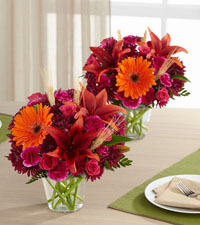 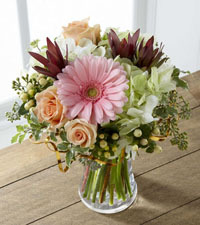 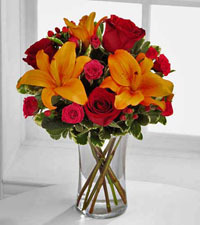 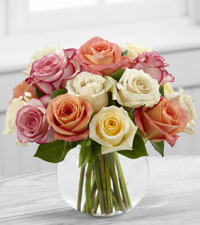 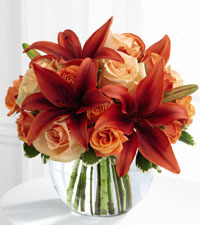 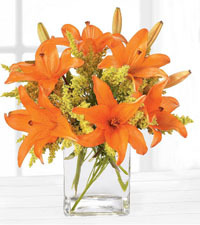 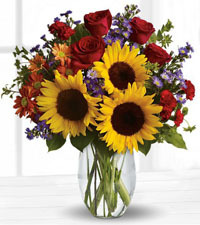 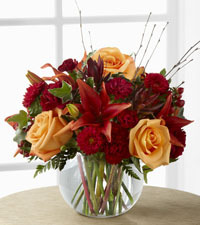 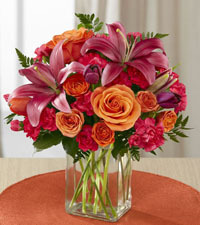 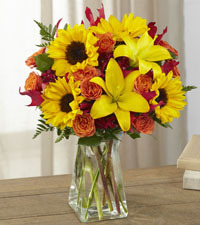 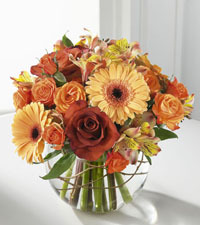 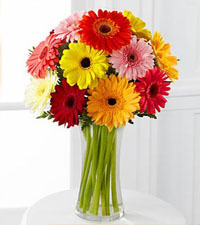 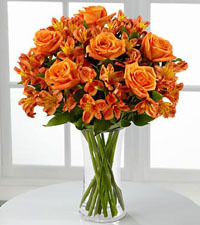 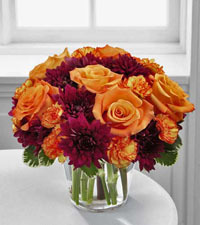 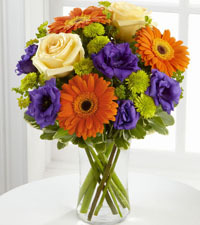 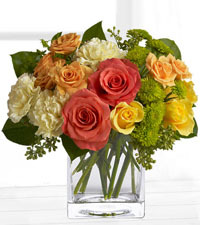 Look into the great floral options that include burgundy and orange flowers like roses, carnations, and lilies. 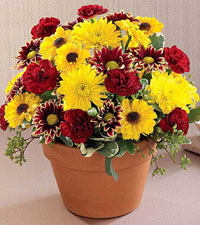 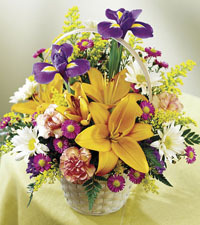 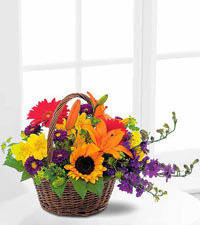 These will look great in a vase or a basket, however you choose to have these flowers displayed. 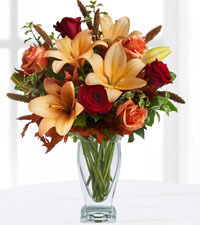 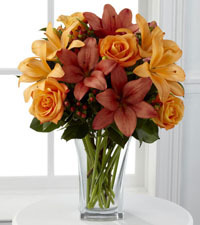 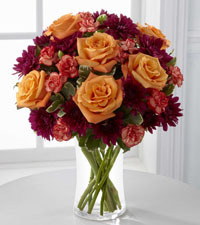 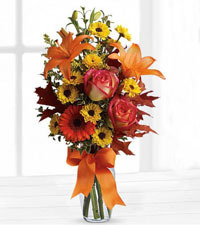 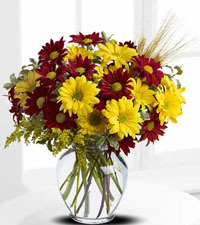 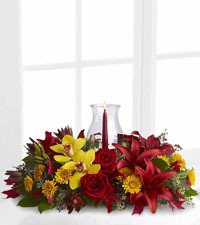 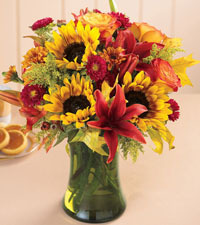 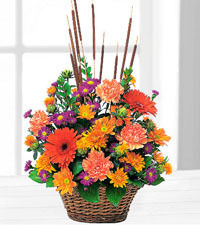 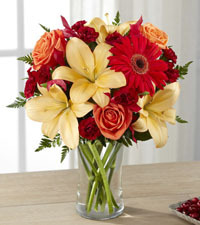 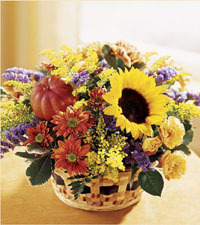 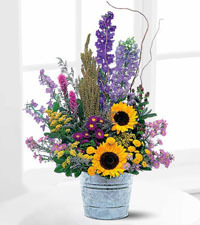 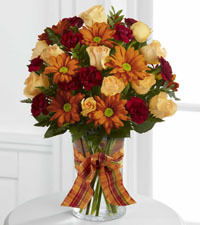 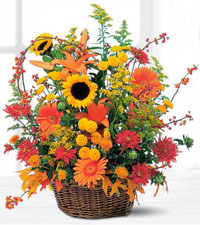 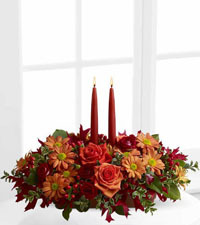 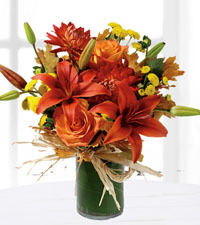 Teleflora's Majestic Fall is a great gift idea and will remind someone that looks at them the beauty that Autumn holds and the great colors that are out there in nature. 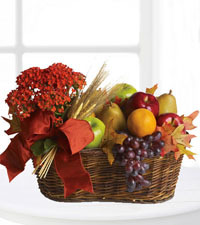 A popular Thanksgiving gift is the cornucopia, a gift that was given on the first Thanksgiving and is something to be shared. 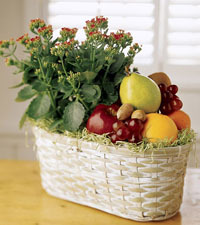 Today, these cornucopias are used to make great centerpieces and are generally filled with fruits, nuts, flowers, and other goodies that can fit in them. 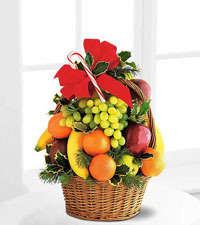 Our Captivating Cornucopia is a wonderfully colourful and festive centrepiece. 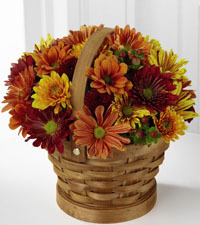 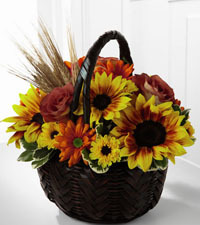 Aside from one of these great baskets, Canadian Flower Delivery offers a number of traditionally designed Thanksgiving centrepieces that include great fall flowers, greenery and sometimes a candle. 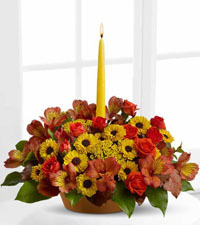 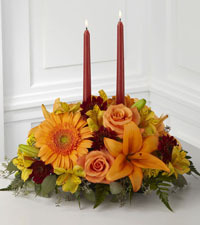 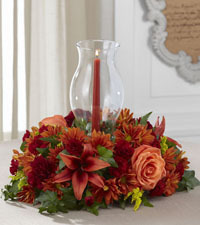 FTD's Bright Autumn Centrepiece is a great design to have on the family table for dinner and are wonderful decorative pieces that are going to mean a lot to the person that you have sent them to and will last long beyond the Thanksgiving dinner. 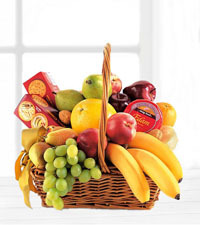 Since Thanksgiving is about giving thanks, sharing with friends and family, and being happy for what each person has, a great idea is a gift basket. 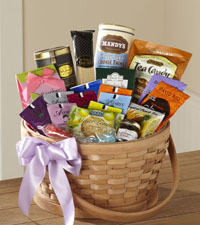 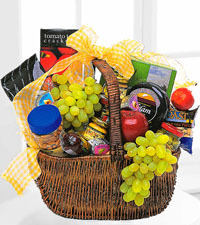 These gift baskets usually have a mixture of different treats from crackers and cheese to fruits and vegetables to nuts and candies. 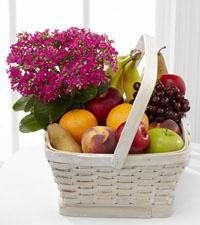 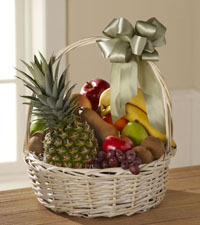 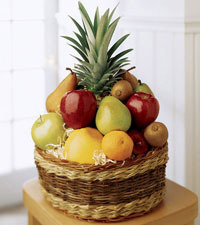 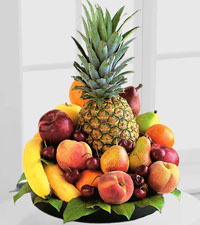 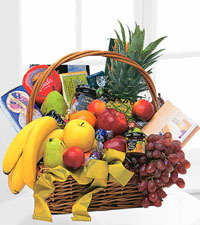 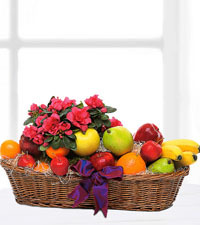 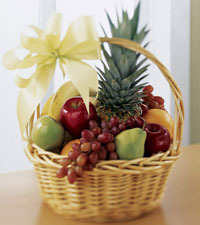 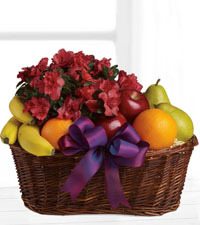 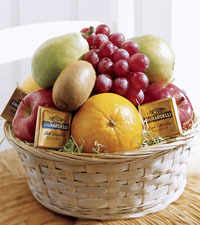 Teleflora's Gourmet Fruit Basket can be customized the way you want it, and will bring a lot of joy to the person opening it. 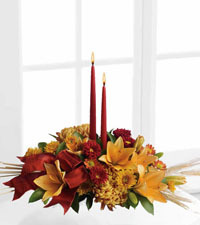 Whether you want a great floral arrangement, a centerpiece, or a gift basket filled with all the goodies, you will have a lot of options for sending Thanksgiving gifts. 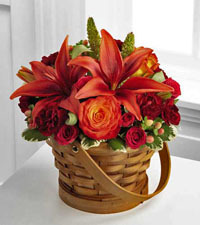 There are all kinds of great ideas; it is just a matter of deciding what you want to share with those you care about around you. 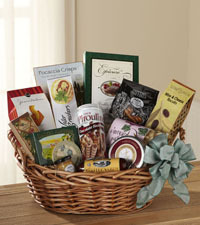 Look at all the great options and find out what you are going to order for your Thanksgiving gifts.